It seems like everyone is doing a year-long project at the moment. People have written songs every day for a year, saved their year’s rubbish, made a mask a day, kept their navel fluff, and even collected 365 giraffe images. Droves take daily photographs of themselves and post the results on YouTube so you can watch them age, ever-so slightly, over the course of a few minutes. You can get the same effect by observing someone watch Saturday night television. Probably the most famous year-long project lately has been The Julie/Julia Project, where New Yorker, Julie Powell, cooked her way through the 524 recipes in Julia Child’s Mastering the Art of French Cooking in one year, blogging about it as she went along. The blog became so popular it led to a book deal and a feature film starring Meryl Streep. Last year I joined the ranks of collectors, self-challengers, bloggers and people with too much time on their hands by doing my own year-long project. It was coming up to the start of a new decade and I needed something to get stuck into; a project that wouldn’t go the way of all my other woolly ideas; something I would actually finish rather than half-heartedly begin then, once my first attempt wasn’t perfect, abandon. My first idea was to draw a self-portrait every day for a year. Malcolm Gladwell theorised that it takes 10,000 hours of focused practice to master a subject. I worked it out: at one hour per portrait I would be 3.65% better at drawing at the end of the year. An improvement so insignificant I chose something else. I had been taking the odd movie clip on my phone. 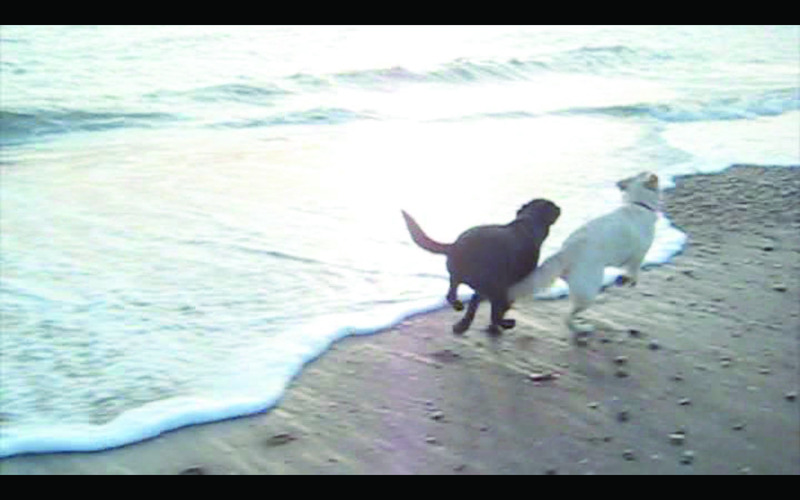 One day after work I was down the beach walking my dog, Juju. The sun was setting over a peachy December sky, a perfectly calm sea lolled in and Juju wagged around by my feet. I felt that a moment so lovely just couldn’t be captured with a photo, so I took a short movie; a little slice of my life condensed into a few seconds. I had also recently seen Follow The Master, Matt Hulse’s film about his walking the South Downs Way in honour of his grandfather. It opened up what I thought a film could be about. 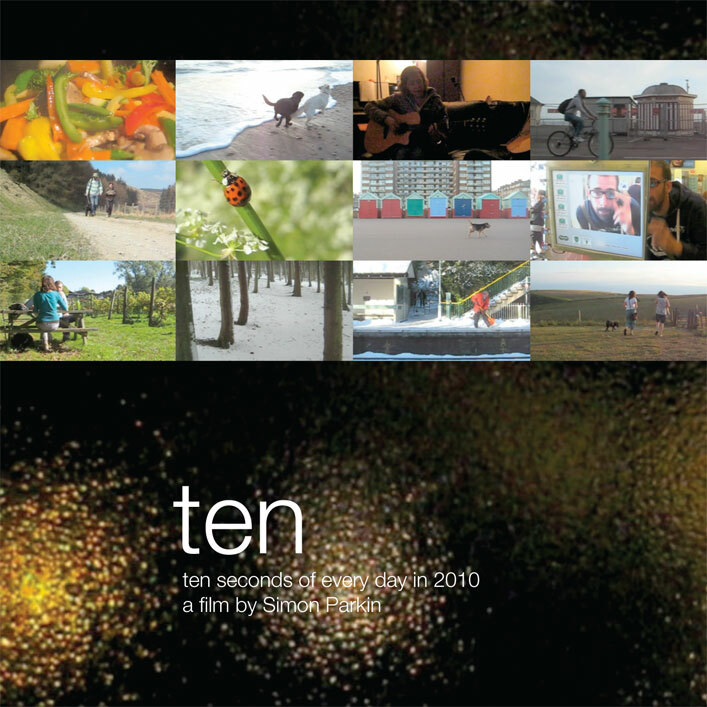 And so, my year-long project idea came together: In 2010 I would film ten seconds of every day on my small, cheap, digital camera. I would then edit the results together, back to back, to make an hour-long film which I would call ‘Ten’. “What will you film?”, was the first question a friend asked when I told her my plan. Good question. In fact this became the question I obsessed over every day for the next year. I wanted each clip to tell the story of that day and the film as a whole to tell the story of that year. Starting was easy as I knew what I wanted for my first shot: the first ten seconds of the new year with me and my partner, Helen, celebrating. Even though I knew what I wanted, I fussed over the camera, worried that the batteries would run out or that I would accidentally delete the file or the camera would self-destruct in a ball of flame, ruining the whole project on day one (such paranoid visions plagued me throughout the year). We were still on a Christmas break so for the first few days I filmed whatever we were doing: walking a windswept hilltop and watching a wintry Dorset beach. Soon after we got back home it snowed and I got a few more ten seconds of snowy landscapes and Juju attacking a giant snowball. Back to work and a ten seconds of me logging into my computer. It was a few days into January. Then came the difficult part. One of the rules I had imposed on my film-making was that I wouldn’t repeat any of the scenes. Even though it would have been a more accurate representation of my year, I didn’t think footage of me sat at a desk for the best part of an hour would be that captivating. And I already had my clip of me logging in. So what else could I film? Quite a lot as it turned out. Once I let go of the fact that the film didn’t have to be full of action or subject or dialogue or picturesque location (sounds good, eh?) I just looked around and inevitably found something. The street going by from the bus window; my feet walking through the woods; a seagull spreading its wings; all these things were normal to me but not necessarily for anyone else so they all became part of my film. It was like giving a guided tour to an alien; explaining the day-to-day moments that make up my life. Mondays were the biggest challenge to my task. You can tell in the finished film which clips are Mondays because they are the most mundane; films of myself washing up, putting the shopping away or simply a close-up of the rain against the window. These moments are part of everyone’s life whether they like it or not so it was important to include them rather than trying to present my life as an endless round of excursions, events and elation (which it most certainly isn’t). In fact, the couple of holidays I went on, special events in anyone’s year, were almost unrecognisable in the finished film. They don’t receive any more significance than any other day and just fade into the all the other clips. To tell the story of the year I made sure I shot film of the seasons changing. Sun-dappled leaves herald Spring and ripening berries foretell Autumn. 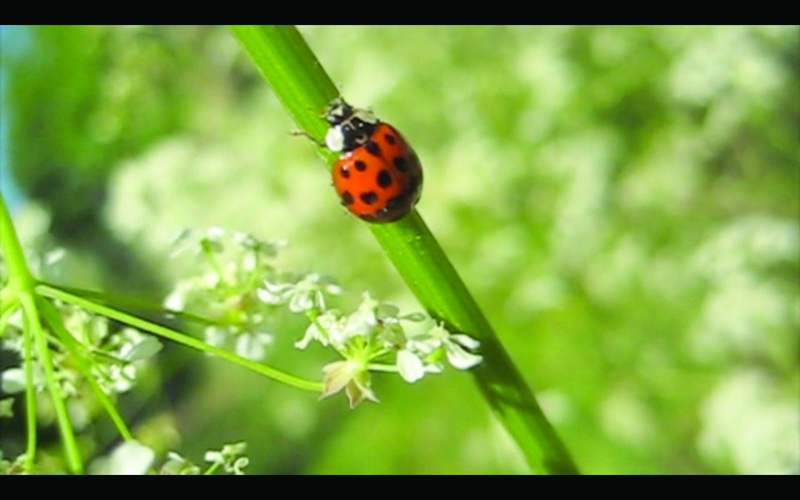 My favourite shot is a close-up of a ladybird climbing a stem of long grass in the sunshine, the sound of birds singing in the background. It perfectly captures a blissful summers day for me. I tried not to plan any of the shots and I didn’t direct any action as I didn’t want it to be too contrived. I was expecting to move house in 2010 and I vaguely imagined a set of ten seconds telling the story of packing, moving and settling in to a new house but the move never came off. Something else happened which I could never have predicted though. Around three-quarters into the film you see me and Helen looking at a series of small, black and white ultrasound scans, pointing out a spine and a head. A small clip that gives away our highlight of last year.